Brief: To develop a campaign to increase foot traffic & drive sales between Monday to Thursday to TGI Friday’s. 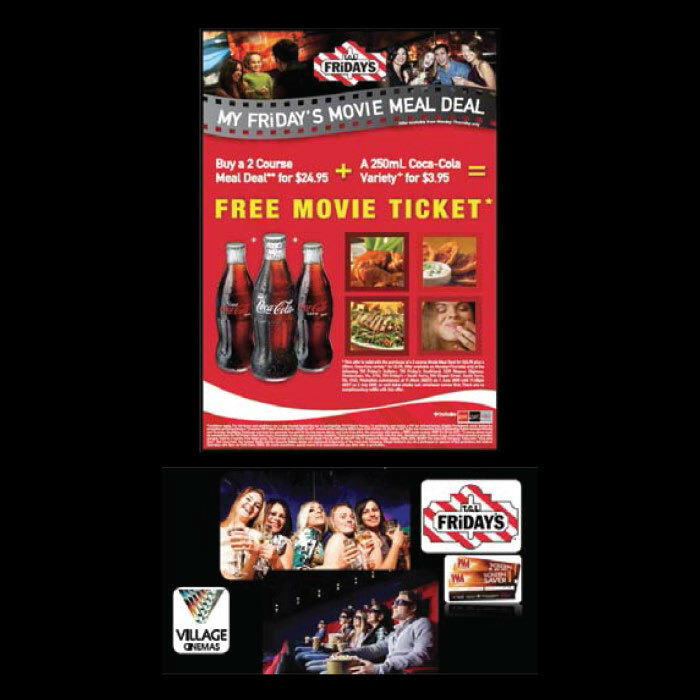 Execution: IMC developed a cross promotion incorporating: TGI Friday’s, Coca Cola Amatil and Village Cinemas. Mechanic: “Purchase a 2 course Meal Deal + 250ml Coca-Cola bottle & receive a FREE MOVIE TICKET”. Result: Sales increased by 9% based on same period in previous year.